At its best, a travel memoir documents not only the writer's journey to a destination, but also how that place changed his or her life. The account is as much about foreign travel as it is about the writer's inner self. What I most appreciate about my travels is not the souvenirs, but how the experiences have shaped me as a person: business trips to London and Paris; conferences at Oxford, Durham, and Cardiff; punk shows in Toyko, Bremen, and Hamburg; romantic getaways to Amsterdam, Toronto, and Montreal. Memoirs chronicle life's journeys. 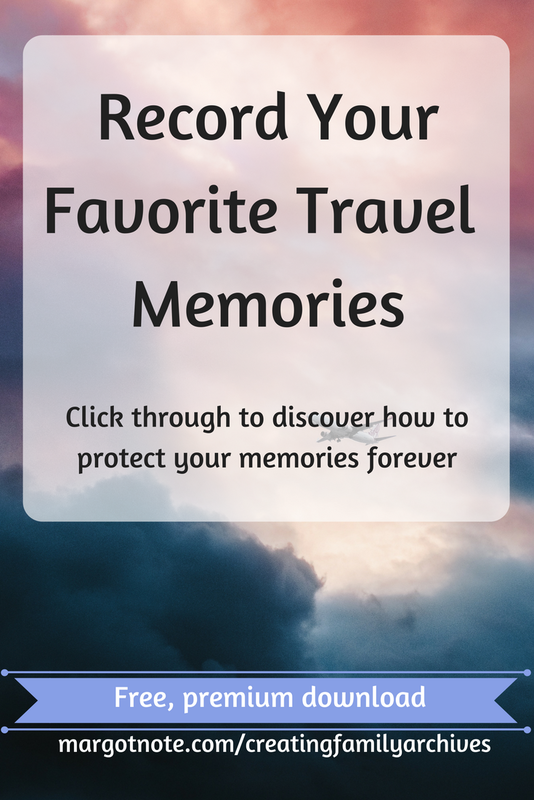 For family historians, travel documents like passports, diaries, photographs, telegrams, postcards, and mementos record the trips of loved ones. While I discuss the ways to protect these materials in my book, Creating Family Archives: How to Preserve Papers and Photographs, I also want to help people forge memories--now, in the present--that they can pass on to others. 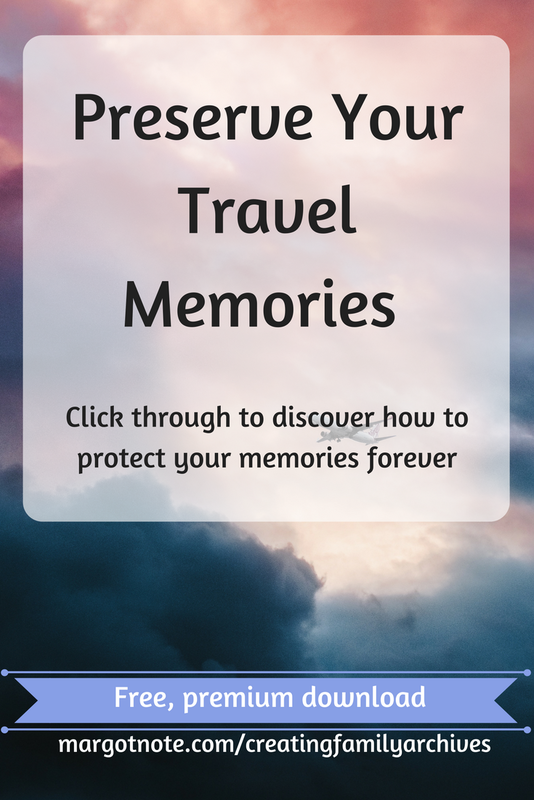 I've crafted a travel memory workbook with 30 questions to capture family memories about their travels. The questions are crafted to give you more than yes or no answers and are tailored to uncover information about your loved ones. You can ask family members about their favorite trips, or use it yourself to write the next Eat, Pray, Love.